AmishOutletStore.com is proud to offer quality, Amish-handcrafted furniture which is available to ship all over the country. We are asked a number of questions about our furniture, how it’s made, and where it is produced. 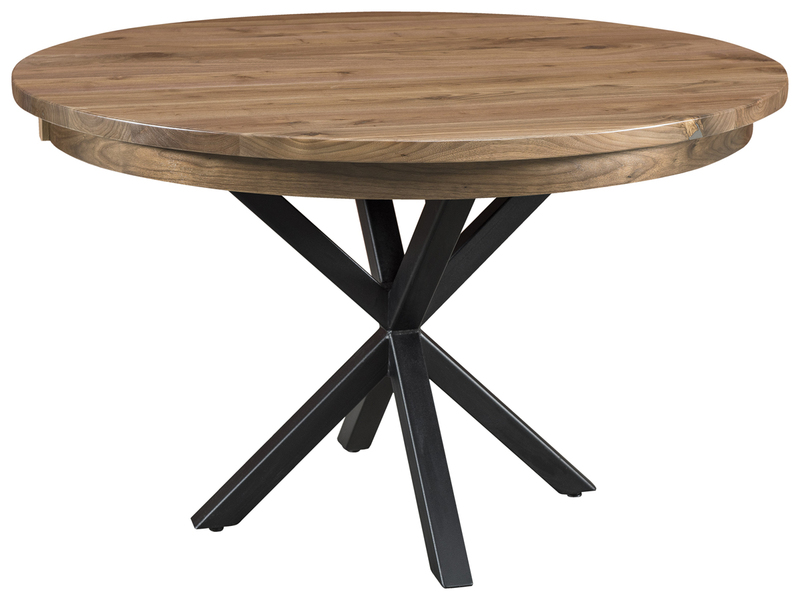 First, we must give credit to the incredible Amish artisans who work with us to craft these sturdy, attractive pieces. Do you have questions about the Amish furniture we offer? Many of them are answered in our FAQ section, which addresses everything from whether we have a showroom to how long it will take to get a piece of furniture once it is ordered. We aim to provide you with the information you need to aide in your decisions about what to purchase. If you have questions we don’t answer in the Amish furniture FAQ below, you can always contact us by phone or by email. AmishOutletStore.com does not have a showroom. We operate from our office and warehouse in Smithville, Ohio. By not maintaining a storefront location, we are able to keep our overhead low and pass the savings on to you, our customer. Since we work with a range of talented craftsman to produce our Amish furniture, we don’t have a paper catalog. However, through AmishOutletStore.com you can actually participate in the design process of your customized furniture piece by choosing your wood species and stain color — resulting in a product that perfectly matches your décor. Is Your Furniture All Made in the USA? Yes. All AmishOutletStore.com furniture is made from North American Hardwoods by Amish builders in Ohio and Indiana. Can I Have a Piece of Furniture Customized to the Size I Want? Our builders are able customize most of their pieces. Contact one of our Customer Service Reps for more information. We do not customize plans for furniture not shown our on our site or from builders we don’t work with daily. How do I know the dimensions of each piece of furniture? All dimensions listed on our site are the maximum outside dimension taken at the widest point unless otherwise noted. The dimensions are provided by the builders and are accurate to the best of our knowledge. Our furniture is not factory made, so dimensions can vary slightly from sizes listed. Call one of our Customer Service Reps for inside dimensions. Is All of Your Furniture Made of Solid Wood? Yes, all furniture is made of solid hardwood except for all backs and drawer bottoms, which are made of furniture-grade plywood. How Can I See Stain or Fabric Samples? We recommend requesting stain or fabric samples when you order to help determine your choice. Samples can be sent to you free of charge if you place an order and we have received your 50% deposit. All orders are handmade, so it will take approximately 12 weeks, sometimes longer, for your furniture to be built. If your order is a custom piece, it can take 14 weeks or more to complete. An additional two to three weeks should be allowed for delivery. Why Can’t I Find a Checkout on Your Site? We feel it is important to speak with a sales representative to finalize all orders and discuss the particulars of your piece beforehand. Discounts and shipping are calculated after you submit a quote. AmishOutletStore.com uses only professional furniture delivery companies to deliver your furniture. All furniture is carefully loaded and delivered blanket-wrapped to your home. What Happens If My Furniture Is Damaged? What Should I Do? Should you detect a defect or damages, simply contact us, and we will have the items repaired or replaced at our discretion with no charge to you. Please be prepared to send pictures that show the problem so we can assess what needs to be done. Is There Any Assembly Required for My Furniture? All furniture is custom made and fully assembled when it comes from our builders. Tables and beds will require some assembly if you opt for curb-side delivery. Now that you know more about how our furniture is made, customized and delivered, let us assist you in getting a quote for the pieces you are interested in. We take pride in selling furniture that will stand the test of time. Our artisans craft exquisite products you will enjoy displaying in your home. They are designed to complement each other, so you can find entire bedroom sets and coordinating furniture for your living room, dining room, study and more. No matter what type of furniture you are looking for, AmishOutletStore.com is here to help. Browse our site to find your new table, chairs, bed, TV stand or other items. Contact us with any other questions about our furniture or the buying process. We look forward to working with you.